Most people are very careful of their social security information due to the widespread knowledge of social security identity theft. What most people don’t know is that medical identity theft is on the rise. Therefore we are less careful when it comes to protecting our medical information.Medical identity theft is when one person steals another person’s medical insurance to pay for their own health care bills. 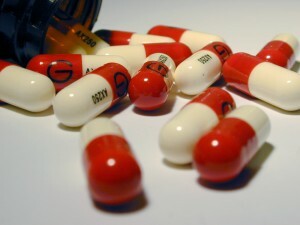 They can also purchase prescription drugs and submit false insurance claims in the victim’s name. All of these fraudulent actions can lead to serious financial crisis on an innocent victim. Social Security theft can be bought for only $1 on the streets, but medical identity theft goes for $50 street value! Fraud Expert Linda Webb, aka The Fraud Dog, says most people don’t realize that their medical identification can be worth more than your social security when it comes to identity theft. When you can gain access to someone’s health card identity and fraudulently bill utilizing that information, you can steal thousands of dollars. Data is king, so the fraudster can get a hold of your health card identity information (including Medicare and Medicaid), and can not only bill for himself, but then turn around and sell the same data to another fraudster. This can be big business for the fraudster and the street value of this information is becoming one of the hottest tickets in town. Guard your health insurance card information. Be sure to read your health care explanation of benefits to see if anyone is trying to bill erroneously on your card. posts more, “pop”! Your content is excellent but with images and video clips, this website could undeniably be one of the most beneficial in its niche. Good blog!